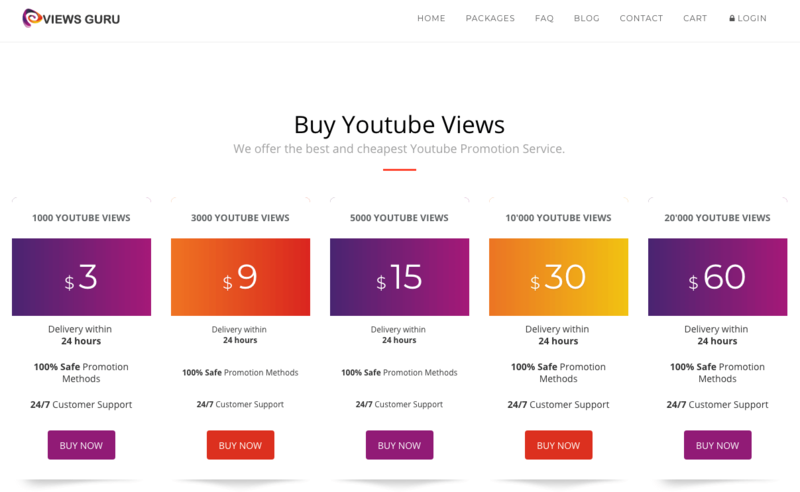 Views Guru is a US-based company which focuses on providing YouTube promotional services. It started in 2016, and claims to have the cheapest packages in the market (although we know of cheaper). To order, you only need to type in the link to the YouTube video and your email address. After that, you can checkout and pay using PayPal or any major credit card. Orders are delivered within 24 hours for 100,000 views and below. Orders larger than this will be delivered within three to nine days. The Views Guru’s website is modern yet uncomplicated. Its landing page immediately tells you what the website is all about and what services they offer. All their packages are marked with a 100% safe promotional method tag, although there are no details regarding how they are safe. The company has a 30-day refund and replacement policy in place. 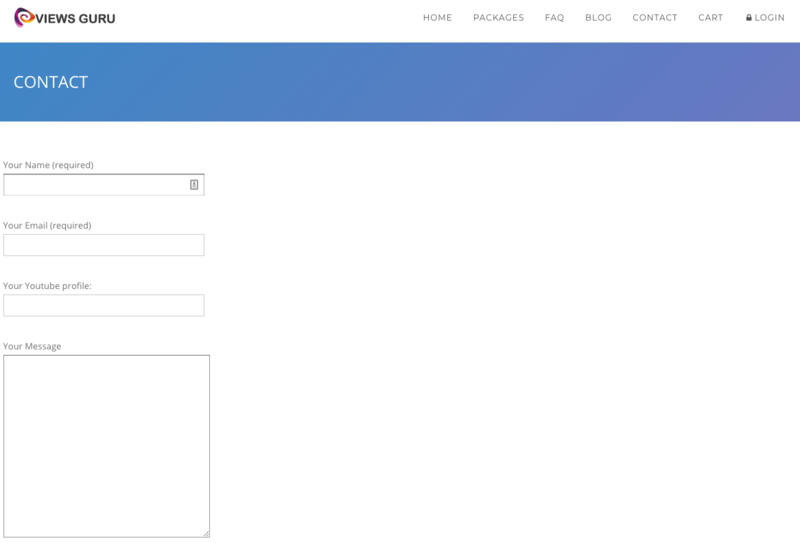 Their customer support can be reached by filling out the form on the contact page. What’s great about Views Guru is that it is focused on providing YouTube views, and nothing else. They are even capable of delivering large volume of views, which is a testament to their expertise in providing this kind of service. If all you want to do is pump up your views, they’re a good choice. If you want to do anything else at all, like buy subscribers, you’ll need to look at another provider on our list which also has this service. What do you think of our evaluation of Views Guru? Do you agree? Let us know by posting your own comment or review.